Latest issue of #PrivatizationWatch (03/2018) - The Global newsletter on privatization of public services around the world. 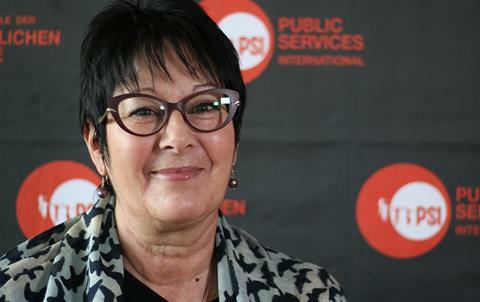 public interest, explains Rosa Pavanelli, PSI General Secretary. The idea that “opening up to competition” allows us to have quality service costing less is false, as shown by the private management of water in France, dominated by two oligopolies. Its failure is so clear that more than 100 towns and cities, including Paris, have decided to “remunicipalize” this market. Bechtel, the U.S. engineering company, warns the Kenyan government that using a ‘public-private partnership’ model for the Nairobi-Mombasa expressway “would cost five times more at $15 billion and take much longer to complete” than using its ‘engineering, procurement and construction (EPC)’model. 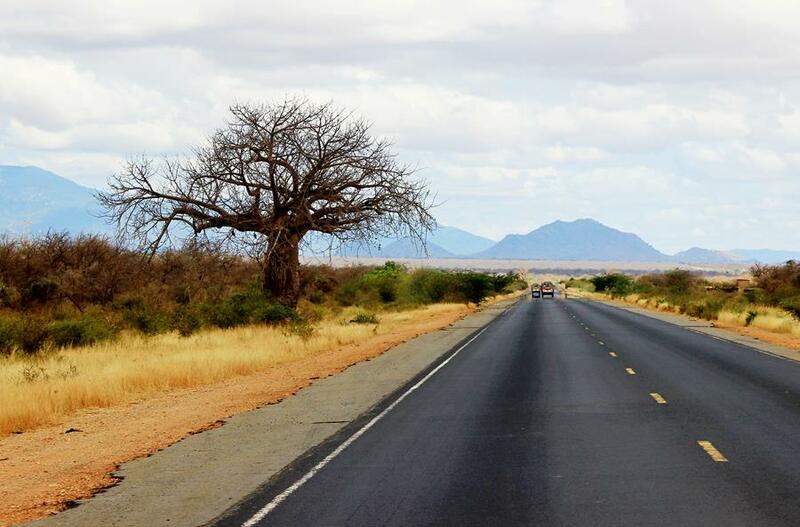 “Bechtel warns that should Kenya opt for the alternative route, it will find itself in a negative cash flow territory and the State would be left with the burden of paying out $5.4 billion over 25 years. (…) The Kenya National Highways Authority (KeNHA) director-general, Peter Mundinia, on Monday said construction would take the EPC model but operations, maintenance and tolling would be done under PPP.” Bechtel’s concerns have led to the delay of the massive project. There are good reasons why privately financed infrastructure projects become significantly more expensive – and slower to complete – than planners anticipate. One solution is to bring in private financing only after a project is completed. Cameroon Water returns to public hands. But Public Services International “also advises that management involve the workers and their union in the rebuilding. There are a number of grievances outstanding from the privatization, and they need to be resolved. More important is the workers’ knowledge and expertise, which must be applied to the process of rebuilding.” See the PSIRU briefing, Water Renationalisation in Cameroon 2018, commissioned by PSI to provide an overview of the re-nationalisation of water supply in Cameroon, which comes into force in May 2018. 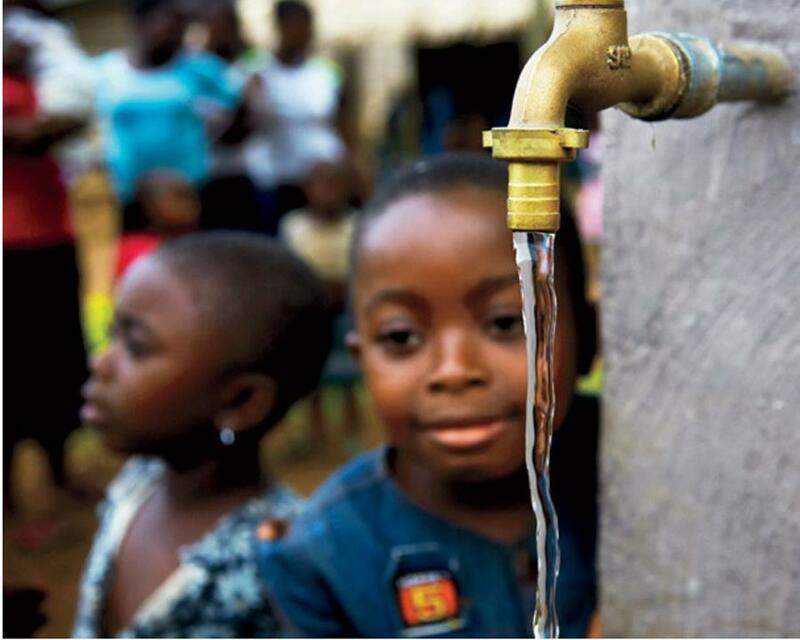 The briefing covers the history of water privatisation in Cameroon, workers’ response to privatisation; public and private performance in terms of expanding access to drinking water and the process of renationalisation. Deputy Prime Minister Ivan Collendavelloo has announced that the privatization of the Central Water Authority (CWA) will be completed by the end of this year. Ogbonna Chimela, the National Vice Chairman of the Joint Health Sector Union (JOHESU)and President of the Nigerian Union of Allied Health Professionals (NUAHP) says the government has lost its way from when it originally introduced private contracting into the health sector. “In the original format, you are not supposed to lose any staff, those private owners who have equipment that government hospitals don't have will bring it in, bring experts to train people and the government will now sit down and discuss how the profit made from it will be shared with the private owners. (…) What the government is doing now is privatization and commercialization which is different. They will make the cost of things very high because the essence of the initiative is now profit making and not for the masses. Philippines: The Philippine House has passed a bill to ban the privatization of public hospitals. 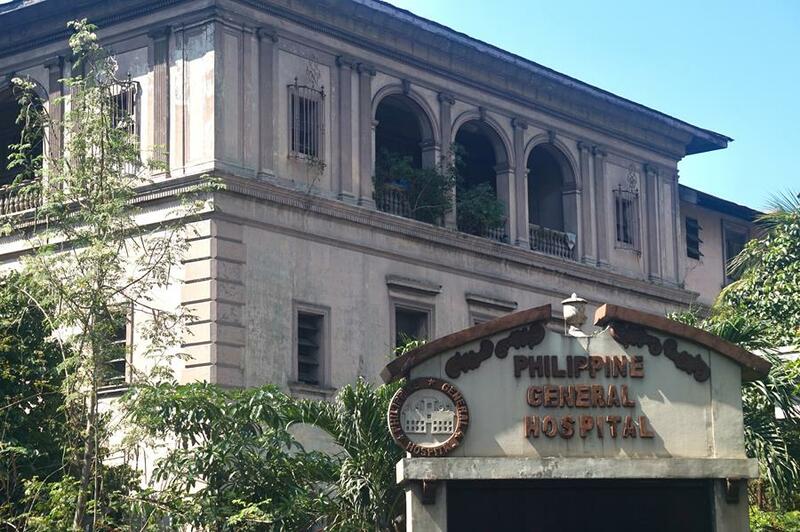 There were efforts to privatize the state-run Philippine Orthopedic Center (POC) in 2015 but they were defeated by widespread public protests. “The bill defines privatization as a process in which non-government actors become increasingly involved in the financing and the provision of health care services which includes outright sale, public-probate partnership, corporatization, contracting out of equipment, joint venture, franchising, management control and leasing and user changes. Likewise, the bill provides that at least 90 percent of the total bed capacity of all public hospitals should be allotted for indigent or poor patients. ‘This will address the lack of access and inequality in health care brought about by the privatization of public health services,’ the Committee Report on the measure read.” For a third violation of the law, that person will be perpetually disqualified from holding any public office. Concerned about the financial health of local banks, the government has put the brakes on ‘public-private partnerships.’ “The move was aimed at closing loopholes in the initiative that were being exploited by local governments to raise funds through banned channels and spend money on risky projects that were unlikely to earn an adequate return on investment.” The finance ministry ordered the overhaul in November. In its National Convention held in New Delhi, on 8 June, the Indian National Coordination Committee of Electricity Employees & Engineers (NCCOEEE) decided to call for a nationwide power strike on 7 Dec this year to protest against the Electricity (Amendment) bill 2014. This bill seeks to extend privatization to the distribution of electricity. President Macri’s urgent appeal to the IMF for help may lead to the partial privatization of pensions. Saskatchewan was the first Canadian province to use social impact bonds. The Saskatchewan projects show social impact bonds can be structured to increase the chance of the payout for investors – by excluding those likely to require higher levels of assistance. Thousands of union members rallied to defend labor rights across the country on May Day. In Cuernavaca, Morelos, they “demonstrated against the privatization policies that have affected labor rights.” In Juchitan, Oaxaca, members of various public sector unions in the region of the Isthmus of Tehuantepec marched to demand wage increases, against the privatization of water services in the state, and for respect for labor rights and employment incentives. Marco Antonio Petlacalco, secretary general of the telephone workers union, demanded a reorientation of the country's economic policy to generate jobs and boost wages, leave out the salary cap, and put an end to the privatization of the health system and social security and diversion of savings funds. [Metro Puebla, 2 May 2018]. The government has denied that the health sector is going to be privatized. In a first-of-its-kind analysis, In the Public Interest “has found that public school students in three California school districts are bearing the cost of the unchecked expansion of privately managed charter schools. Charter schools cost Oakland Unified $57.3 million per year. That’s $1,500 less in funding for each student that attends a neighborhood school. For San Diego Unified, the annual cost of charter schools is $65.9 million. In East Side Union, the net impact of charter schools amounts to a loss of $19.3 million per year.” ITPI reports that Charter schools are draining funding from neighborhood public schools in many districts nationwide, leading to cuts in core services like counseling, libraries, and special education. The former energy secretary of President Carlos Menem of Argentina, Carlos Manuel Bastos, who oversaw the privatization of Electrical Services of Greater Buenos Aires, has been giving advice to Puerto Rican officials on how to do it. He was invited by the Puerto Rico chapter of the Business Council of Latin America, whose president, Efrén Pagán, is also founder and president of the public relations company Arco Publicidad. The Project, "CSOs as Equal Partners in Monitoring of Public Finance" explicitly aims to improve the transparency and accountability of policy and decision-making in the area of public finances, within the Balkans region, through strengthening the role and voice of NGOs monitoring the institutions performance in that area. Key project activities are research and monitoring, advocacy, capacity-building, sharing of knowledge/practices and networking in the fields: of public debt; public-private partnerships; tax equity and infrastructure projects. After 30 days of strike, the longest in the last 30 years, the consolidated version of the government’s railway reform legislation was formally adopted by the Sénat in a 245:83 vote on June 14. The reforms convert the SNCF Group, operator SNCF Mobilitées and infrastructure manager SNCF Réseau from their current 'EPIC' status as state organizations into state-owned joint-stock companies, giving the management greater corporate responsibility. SNCF’s monopoly of the domestic passenger rail market is to be phased out, with the introduction of open access competition on core routes from 2020 and competitive tendering of regional operating contracts from 2023, in line with the EU’s Fourth Railway Package. New staff joining the rail sector after January 1st 2020 will have revised terms and conditions. The country’s railway unions have decided to continue their two-days-in-five program of strikes until the end of June with the aim of weighing in on the collective agreement negotiations. A British trade union, the Associated Society of Locomotive Engineers and Firemen (ASLEF) is extending its support to the French CGT union and urging its members to prevent any attempts to privatize the railway sector, citing problems that exist in the United Kingdom. ASLEF General Secretary Mick Whelan said “I urge France not to make the same mistakes that were made here in Britain. Privatization hasn’t worked; privatization doesn’t work; and privatization will not work. It was an ideological, not a practical, decision, and we are suffering the consequences with the highest fares in Europe, the oldest rolling stock, and we see millions of euros hemorrhage from the system every year in the form of profits and dividends for the privateers.” The rolling French strikes, which are expected to run through June, have cost SNCF 100 million euros ($123 million). A new paper by Dr Helen Mercer and Professor Dexter Whitfield "Nationalising Special Purpose Vehicles to end PFI: A discussion of the costs and benefits" provides an initial set of costings relating to the proposal to end PFIs in the UK through nationalising the Special Purpose Vehicles. The article uses book value to estimate that the cost of compensating the shareholders of the SPVs on HM Treasury database would be between £2.3bn and £2.5bn. It further analyses the potential savings to public authorities. The article proposes that service contracts are renegotiated so that the public authorities contract directly with the providers, not via the SPV. This secures significant annual savings from the elimination of operating profits, of £1.4bn, indicating that nationalisation will pay for itself within two years. Further the article proposes to honour all outstanding liabilities but to secure substantial refinancing through a new body in which ownership of the SPVs will be vested. Finally, the article suggests that as service contracts are ended, either through break clauses or other reasons, the public authorities must bring provision ‘in-house’, ending outsourcing and also providing further savings from more rational and integrated provision. The approach has been developed on the basis of significant research into how PFIs operate and consideration of the range of alternative solutions to the PFI problem that have been put forward so far. These issues are also explained and developed in the article. If you would like to contribute to the Privatization Watch newsletter, please send articles and related information to campaigns@world-psi.org.